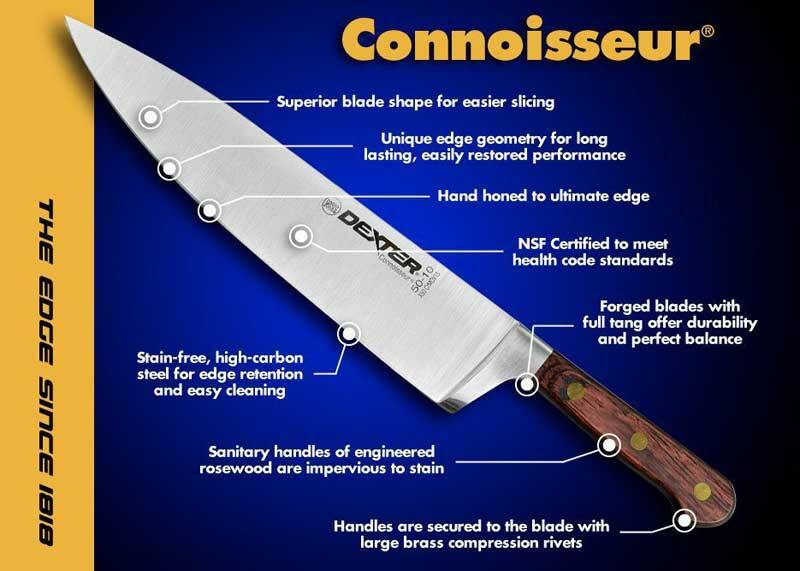 Designed with the executive chef in mind, the Dexter Connoisseur series represents the best that Dexter-Russell has to offer. 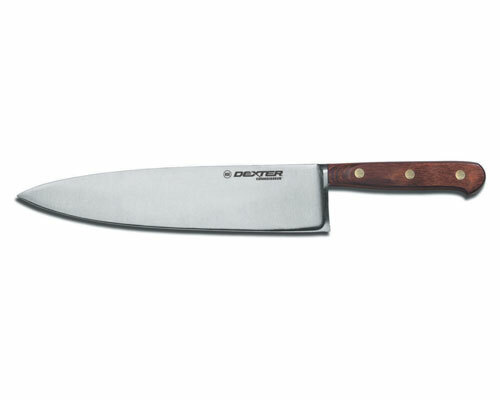 The connoisseur line features beautiful rosewood handles, and well-balanced, durable blades. Made in the USA, these are premium knives constructed by expert craftsmen. Dexter's three in. 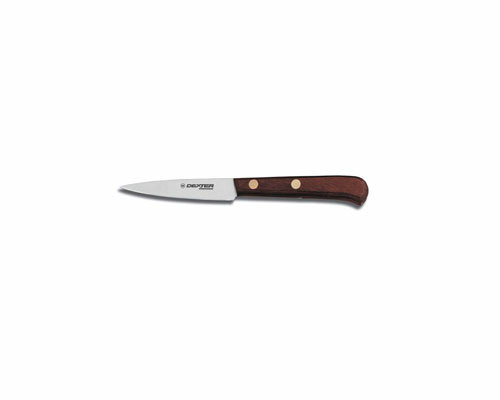 parer knife is designed for professional chefs and home-users for peeling tomatoes, apples and other small fruits off the cutting board and in hand. 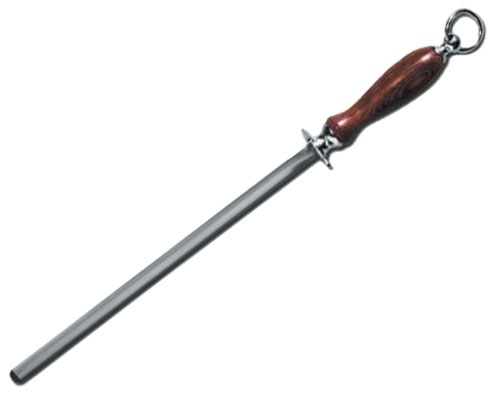 The long blade length allows for a stable hold while peeling. 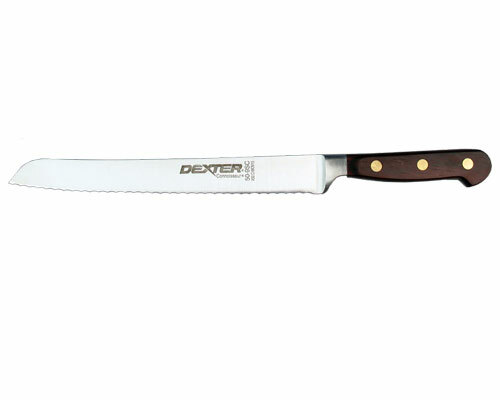 The Dexter Connoisseur line is thin and sharp. 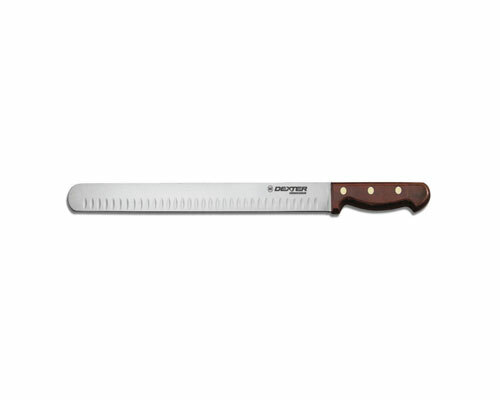 This is your go to knife for removing bones from meat and skinning fish. 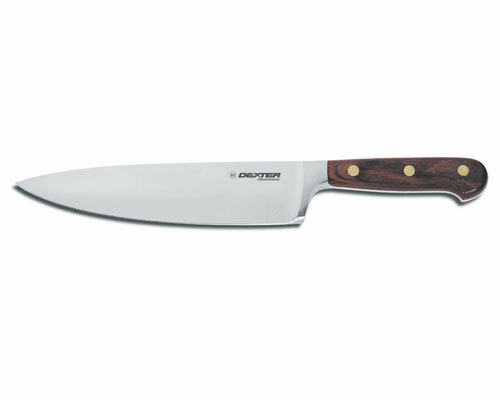 The Connoisseur collection is a unique line that is used in gourmet kitchens and all over the world.